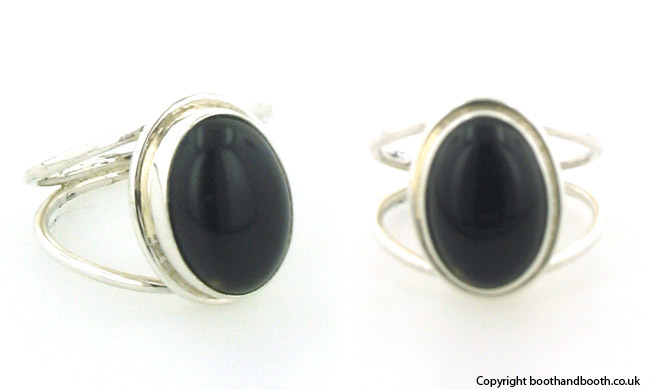 Oval black onyx ring in sterling silver. This black onyx ring with an oval stone is set into an open sterling silver band. 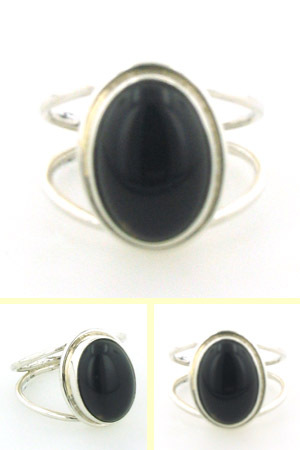 Looking light and elegant on your finger, this is a great choice to coordinate with other black onyx jewellery. 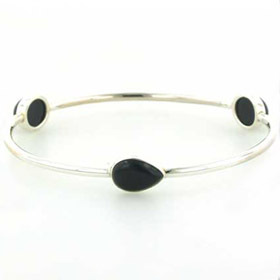 Black onyx is a glossy opaque semi-precious gemstone and looks excellent set into sterling silver. For more information about onyx see About Gemstones. 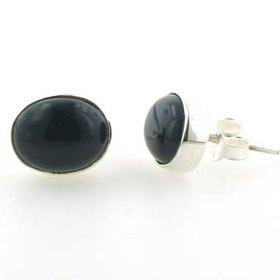 See our black onyx pendants and black onyx earrings to make a set.